Glimpse 360-degree views of Hong Kong and the famous Victoria Harbour from the sky100 Hong Kong Observation Deck, located on the 100th floor of the International Commerce Centre (ICC) - the city's tallest building! At 393m above sea level, it's the only indoor observation deck that offers such a spectacular view of the city. Mon–Thu 10:00–21:00, Fri–Sat 10:00–23:00, Sun 10:00–21:00. 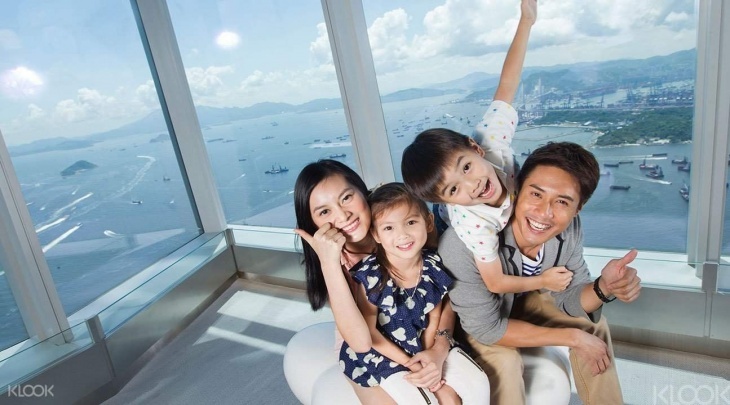 Sky100 Hong Kong Observation Deck at the ICC is conveniently located in the heart of Hong Kong, with easy access via an extensive transportation network. Get here by car, public transport or on foot for spectacular day and night views of Hong Kong.